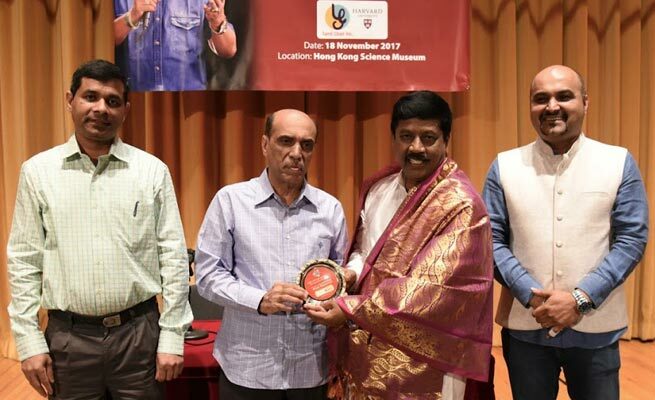 Hong Kong Tamils had a good laughing time listening to Kalaimamani Dr. Ku.Thirugyanasamban during the Tamil Cultural Association programme 'Sirippum Sindanaiyum' on 18th held at Science Museum Theater, Hong Kong. The event started with the video about the fund raising of Harvard Tamil Chair taken by Mr. Venkataraman (RAM). And awareness of this fund was given by Prof. Thirugyanasamban during his speech also. Reasons to donate was explained clearly. Later various mindfulness thoughts were shared which was culminated with comedy making the audience enjoy the show with laughter. Professor answered some questions from the audience and gave ample time to have photos with him. Mr. Arunachalam (ARUN), Secretary of TCA coordinated the entire event. Past President Mr. Mujibeer Rahman and Present President Mr. Senthilkumar facilitated the chief guest and the sponsors. 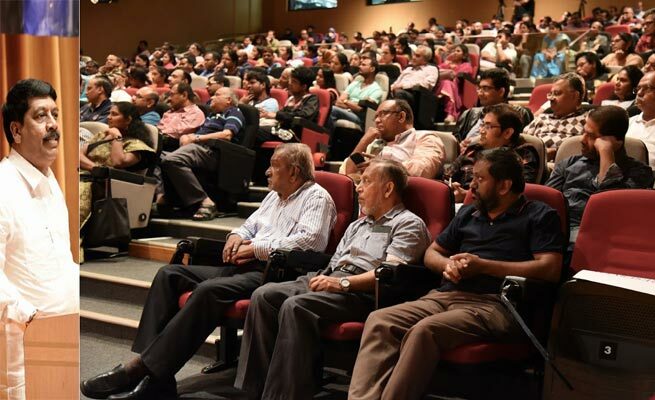 More than 200 attendees went very satisfied enjoying the speech and also donated magnanimously for Harvard Tamil Chair Fund. TCA committee was happy to receive the contributions that will help to improve the standing of Tamil at the world level. On the same day, Dr. Ku. Thirugyanasambandan visited the Tamil class run by YIFC Academy for Education and Entertainment. He met the students and teachers.